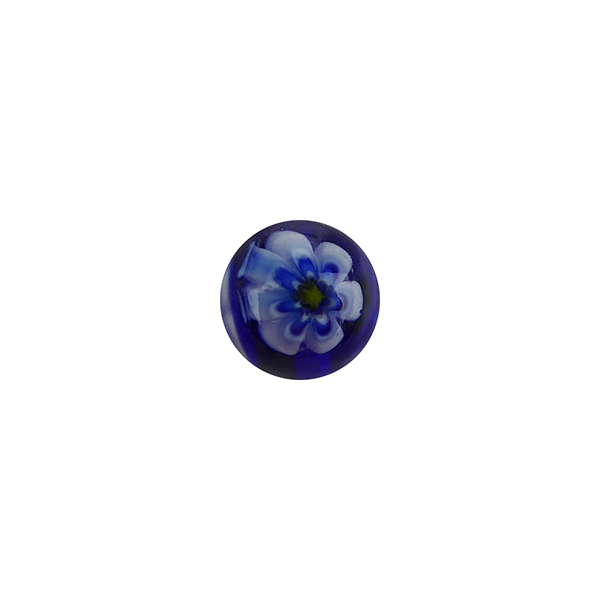 Authentic Murano Glass Millefiori Bead in an 8mm size with a 1mm center hole. Each bead is made by using Cobalt blue glass and adding small slices of the millefiori or mosaico canes for accent. It is called Millefiori (thousand flowers) when the slices of cane appears as a flower, and Mosaico when the cane slices are in abstract patterns. 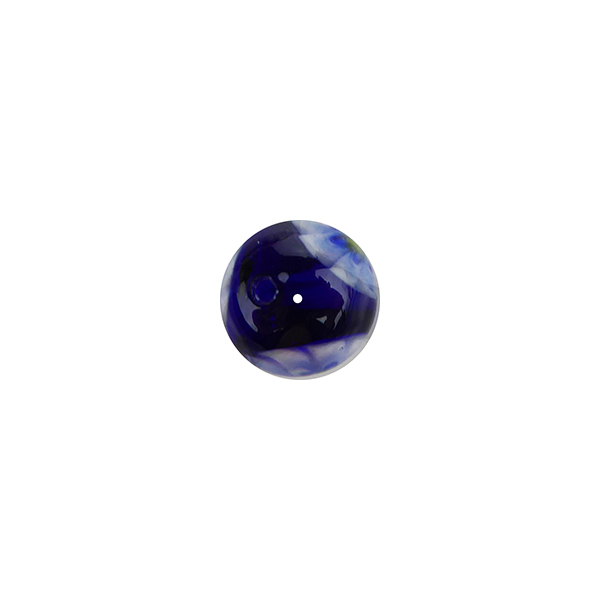 The color of this one is translucent blue with white millefiori. No two are ever alike as the placement of the millefiori cane slices are completely random.